A jury of international designers and design experts has awarded Volvo Car Group’s new connectivity system Sensus Connected Touch the prestigious 2013 Red Dot Design Award. 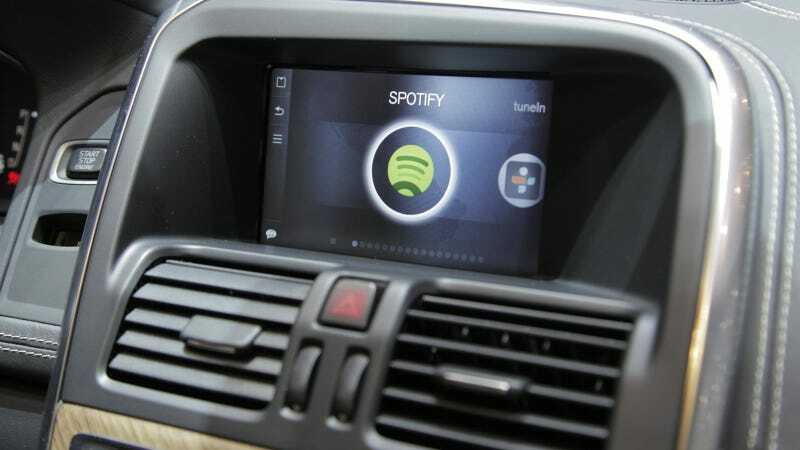 Sensus Connected Touch gives the Volvo owner outstanding possibilities, including the world’s first voice-activated Spotify connection integrated in a car. Sensus Connected Touch is a dealer-fitted accessory that can be fitted in most versions of the Volvo V40, S60, V60, XC60, V70, XC70 and S80. It can also be retrofitted in used Volvo cars from model year 2011 and onwards that have the Sensus infotainment system with a 7-inch display. The system turns the integrated 7-inch display into a state-of-the-art infrared, beam-scanned touch screen that can be used even when wearing gloves. To offer the user maximum flexibility, the system can be operated via the touch screen, the steering wheel or the centre stack controls. On top of this, all music sources can also be voice-activated. “You can play the music track you want just by saying its name. This, combined with an effective voice-activation, an intuitive user interface, a very fast Internet browser and a wide choice of around 20 functions and apps make Sensus Connected Touch outstanding compared with solutions from our main competitors,” says Alain Visser. Connection is made either via a car-mounted 3G/4G-dongle or via the driver’s mobile phone. Internet data is transferred via Wi-Fi between the mobile phone and the Sensus Connected Touch. It is also possible to share a Wi-Fi network with everyone in the car when using the dongle. The Red Dot is established internationally as one of the most sought-after quality marks for good design. Well-known designers and design experts from across the globe are handpicked to guarantee as much objectivity as possible in the selection of the winning products. The Red Dot Design Award breaks down into different disciplines: Product Design, Communication Design and Design Concept.